The International Data Corporation (IDC) revealed that worldwide shipments of virtual reality (VR) headsets were down 33.7% in Q2 2018. 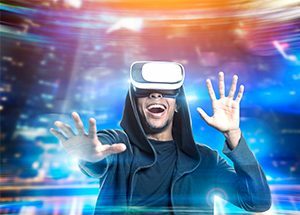 With new products and new brands emerging, IDC considers the decline a “temporary setback.” The initial hype of VR in 2017 was accompanied by headset and smartphone bundles provided by major brands like Samsung, Alcatel, and Google. This group of screenless viewers declined from 1 million headsets in Q2 2017 to 409,000 in Q2 2018. HTC is the category leader, shipping close to 111,000 headsets. Thanks to global availability of the Oculus Go/Xiaomi Mi VR, stand alone headsets grew 417.7% in Q2 2018. The VR headset market has seen large-scale deployments in the commercial sector, making up about 20% of all VR headsets in Q2 2018.